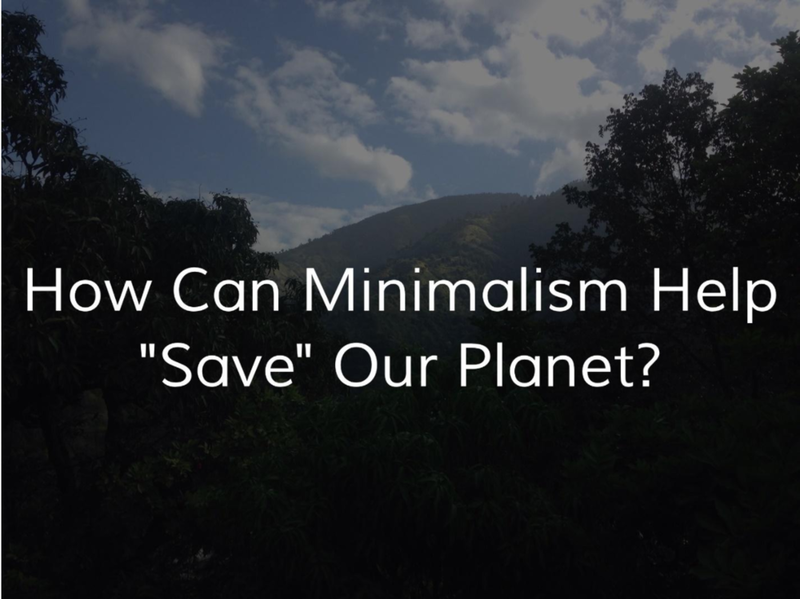 How Can Minimalism “Save” Our Planet? Pictured below is one of my favourite places from my area, the Little Copa Beach. I would be heartbroken if the beautiful brown sands were covered with plastic bottles, old clothes, tires or any kind of trash. This is why I think minimalism and environmental consciousness is so important, it teaches us to question our consumer habits and the effects of these habits on our environment. It is the little things that matter; how you buy your goods, how you use them and how you throw them out. Do you buy in bulk to avoid the 1000 year biodegrading plastic wrapping on each product? Do you have a draw of ‘random items’ you can’t seem to find a place or use for but not the heart to give anything away? Or do you have a closet filled with clothes but nothing to wear? Do you sometimes fall prey to a flash sale from your favourite store? It’s ok, this has happened to me countless times. I remember once when I bought three 15 packs of earring completely blind to the fact that I had succumbed to the temptations of fast-fashion. The issue is not just aimlessly spending your money, the issue is not even noticing that you are aimlessly spending your money. This is where minimalism comes in, to make you more aware of your eco-footprint and take control of your consumption pattern. Step 1: Less is More – trust me. 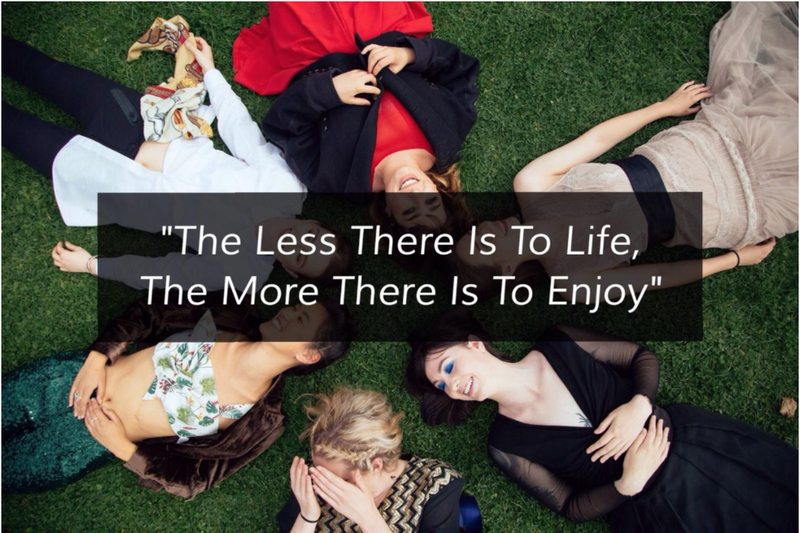 What this simply means is, the less clutter you surround yourself with the less you have to worry about; the less you have to spend time cleaning, the less money spend on things you don't need. Instead, it is more time spent with family, friends, going out, reading, learning and exploring the beauty that is ahead of us. Before we embark on this journey to using less, there are two words that we need to understand the difference between: NEED and WANT. A need as defined by Dictionary.com is: Necessity arising from the circumstances of a situation or case. A want, also defined by Dictionary.com is: Something desired, demanded, or required. By understanding these two words we can properly evaluate our consumption habits. We can understand that a sixth winter coat is merely a “want” and definitely not a “need”. It is our overconsumption that is draining the Earth’s resources and crowding our rivers and seas with garbage. This could be reduced through mindful shopping. If we gave more thought to how the items we buy every day are made, the people that make them, and what resources suffer from the improper disposal of said items, we would be more conscious of how we spend our money. Through minimalism, we learn to live with less and we also understand that some of the items we buy to satisfy our desires lose their lustre after two weeks, or sometimes even a day later. Developing a need for less reduces the amount we buy, use and throw out. Also, it can help you save those extra dollars for things you really do “need”. One of the best ways to express yourself is through your clothes. Through flash sales and casual shopping, we have acquired a lot of clothing to the point where we often have a closet full of clothes but nothing to wear………….sound familiar? It takes about 200 tons of water to make one of a regular jeans and t-shirt. While it may be difficult to reduce the water needed to produces these jeans and t-shirt, we can combat the waste of water in textile production by buying less. Try to only purchase staple pieces that you know you can wear with everything and that you will wear often. Another trick I’ve learned along the way is refraining from buying ‘in-trend'/'in-style' pieces. You’ll find your closet filled with clothes that look good, but pieces you can only wear with a specific pair of jeans or top or maybe not at all. Practising minimalism in purchasing habits teaches you to only keep those pieces that we can mix and match into several outfits and also ONLY those pieces that make you feel confident. So maybe, changing your lifestyle could potentially rescue this planet Earth we call home.